Welcome to Boise Bistro Market Idaho’s Ham Company serving the Treasure Valley since 1993. Join us for a unique, healthy and delicious breakfast or lunch! We offer a great meal in a friendly and relaxed atmosphere. 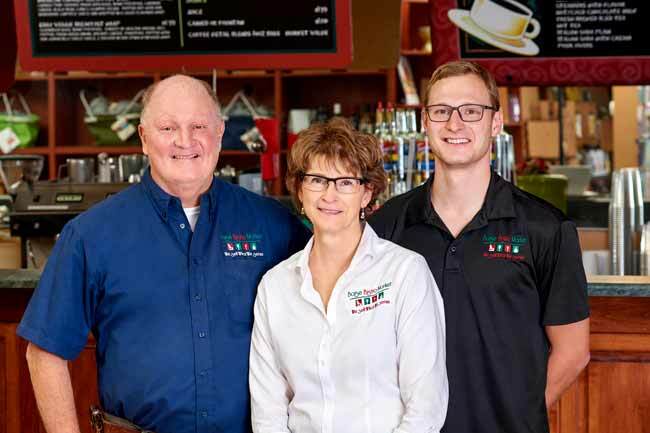 Boise Bistro Market Idaho’s Ham Company strives to become a household name and family tradition. Imagine serving your guests a succulent Spiral Sliced, Honey Spiced Glazed Ham or any of our specialty meats paired with 100% Idaho Red Skin Mashed Potatoes and other incredible side dishes. Let us focus on the food so you can focus on family. Boise Bistro Market Idaho’s Ham Company is bursting with gifts and goodies too. Foodies will love our collection of kitchen accessories, we have a full coffee bar and you can even enjoy a glass of wine or beer. Plus, through our catering services, we can help make your next event a success. Need a way to thank your employees or clients? Boise Bistro Market is your corporate gifting expert. To provide superior-quality, fresh, and wholesome food appealing to consumers who expect great service and healthy choices. We support local producers and commit to provide the highest quality products and services to our guests and community. We want guests to walk out of our store feeling satisfied. Thank you for choosing Boise Bistro Market Idaho’s Ham Company! We look forward to serving you.